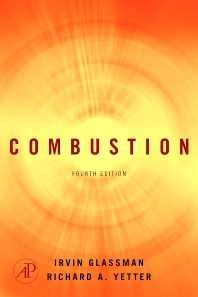 Combustion Engineering, a topic generally taught at the upper undergraduate and graduate level in most mechanical engineering programs, and many chemical engineering programs, is the study of rapid energy and mass transfer usually through the common physical phenomena of flame oxidation. It covers the physics and chemistry of this process and the engineering applications—from the generation of power such as the internal combustion automobile engine to the gas turbine engine. Renewed concerns about energy efficiency and fuel costs, along with continued concerns over toxic and particulate emissions have kept the interest in this vital area of engineering high and brought about new developments in both fundamental knowledge of flame and combustion physics as well as new technologies for flame and fuel control. Dr. Irvin Glassman received both his undergraduate and graduate degrees in Chemical Engineering from The Johns Hopkins University. In 1950 he joined Princeton University, and is currently Robert H. Goddard Professor of Mechanical and Aerospace Engineering. He has also been American Cyanamid Professor of Envirionmental Sciences and Director of Princeton's Center for Energy and Evironmental Studies. For 15years Dr. Glassman represented the United States as a member (and former chairman) of the Propulsion and Energetics Panel of AGARD/NATO. He has been a member of numerous committees, task forces, and research teams, and is currently a member of The National Academy of Engineering and many other professional and honorary societies. Dr. Glassman is listed in Who's Who in America, Who's Who in the World, Outstanding Educators of America, and American Men of Science.